CONFERENCE VENUE. 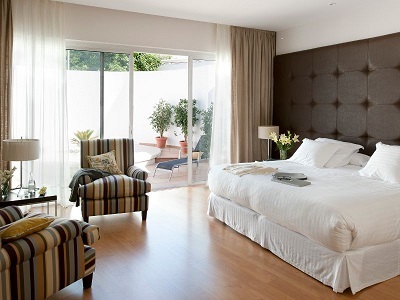 The Barceló Sevilla Renacimiento***** hotel is located on the banks of the Guadalquivir River. Its interior design takes influence from the prestigious Guggenheim Museum of New York, and captivates visitors from the very first glance.A pleasant 20-minute stroll from the hotel will take you into the heart of the historical area with sites such as the Plaza Nueva, the Cathedral, la Giralda, the Royal Alcazars and the Santa Cruz neighbourhood. Hotel Exe Isla Cartuja is just inside Seville Olympic Stadium, Gate G. It is located in the north of the city of Seville, next to the conference venue.It has a quick access to the airport. The hotel has Tv with satellite signel, box of security and Wi-Fi as well. Tryp Sevilla Macarena Hotel is placed at the City Old Wall. It is perfect for the guest who comes here for business, there are good connections with the airport to arrive at hotel. The hotel offers a great panoramic view to the city. It has 331 rooms which are equipped with air-condition, plasma screen TV with satellite signal, minibar and security box with size for a laptop. NH Plaza de Armas Hotel is located in the city center of Seville, near to the bus station. Besides it has a fantastic connection for the airport. The 262 rooms are designed with modern and comfortable style. They are equipped with minibar, WI-Fi or TV with satellite signal. This charmmed hotel of the 20th century is located in the city center. The guest can enjoy the room with all modern facilities: free laptop, Wi-Fi, minibar, plasma screem TV and DVD or hydromassage shower as well.